Since is the color of the year, people are incorporating this color to every detail of their weddings. 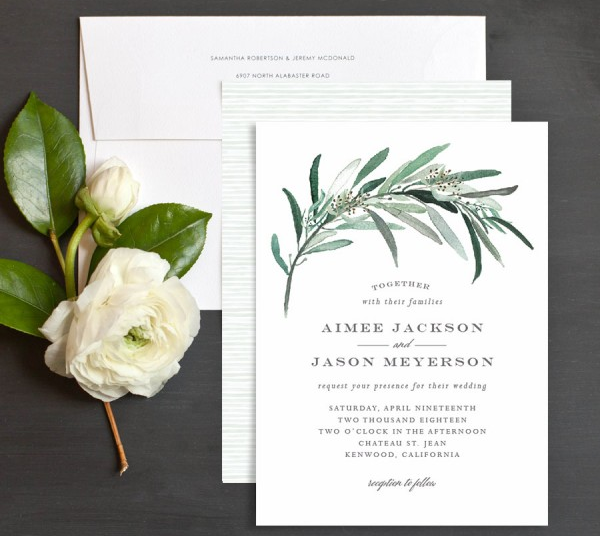 Is expected that illustrated green leaves invites become a huge trend this year. Nothing shows off fancy calligraphy designs scripts better than minimalist designs, this designs focus on the words and fonts you're using on your invitations, rather than having a lot of images and decor showing off. Metallic colors are very versatile and adding gold, silver or bronze foil to any of your stationery will add the perfect and luxury touch to capture everyones attention.